DescriptionIn Focus: The Holocaust Through the VHEC Collection brings to the forefront more than 80 artefacts and archival records mostly from the VHEC Collections. Most of these artefacts were donated by local Holocaust survivors, eyewitnesses, and their families. 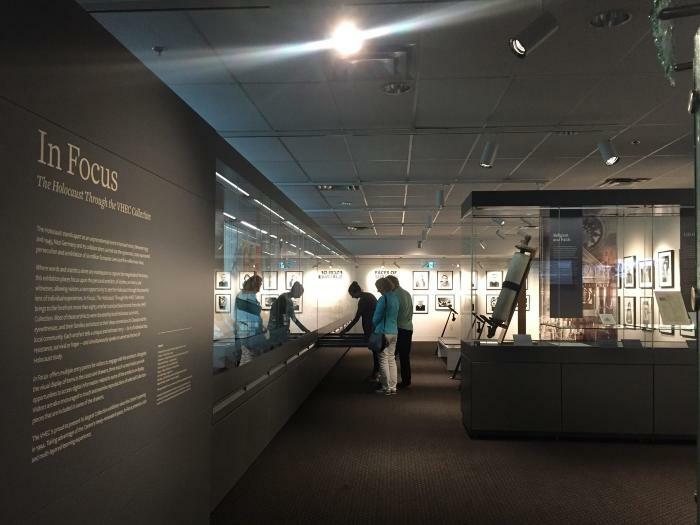 In Focus provides an opportunity to learn about the Holocaust through the powerful lens of individual experiences as each artefact contains a personal story. Simultaneously, it speaks to the universal themes of Holocaust study. The exhibit offers multiple entry points for visitors to engage with artefacts. Alongside the visual display of items, three touch-screen kiosks provide opportunities to access digital information related to seven artefacts on display. The digital caption content alone includes 75 additional items including 31 testimony excerpts. In addition, reproductions of 11 selected collection pieces offer a hands-on learning experience.